A further revised edition of the definitive guide to New Zealand birds. 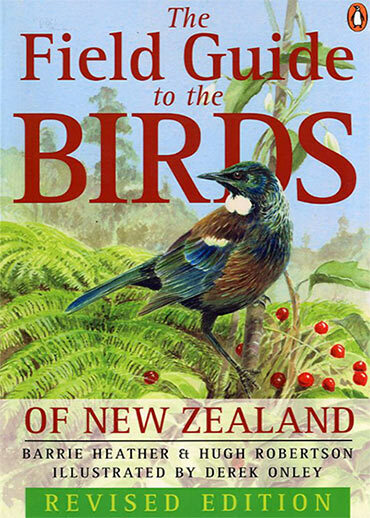 This is the only field guide to birds that is officially endorsed by the Ornithological Society of New Zealand. Hugh Robertson has further updated the book from its revision in 2000. As well as being a comprehensive, systematic guide to identification, the book is beautifully illustrated with seventy-four pages of original colour drawings representing every bird species in New Zealand. Every detail of the bird's life is covered including habitats, populations, conservation, breeding, behaviour and feeding habits. Hugh Robertson and Barrie Heather are two of New Zealand's most renowned bird experts. Hugh is the driving force behind DOC's Kiwi Recovery Programme. The field guide to the birds of New Zealand is available from booksellers throughout New Zealand.